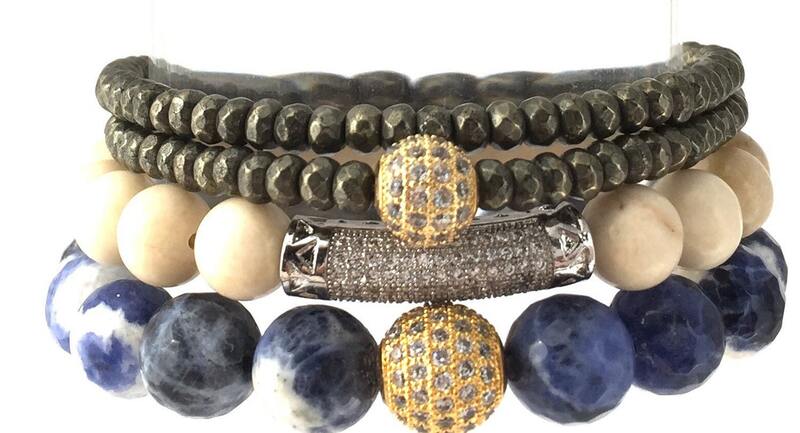 Prosperity stack!! The combinations of these three stones together create a beautiful, graceful balance. Especially when conducting business. An irresistible combination. 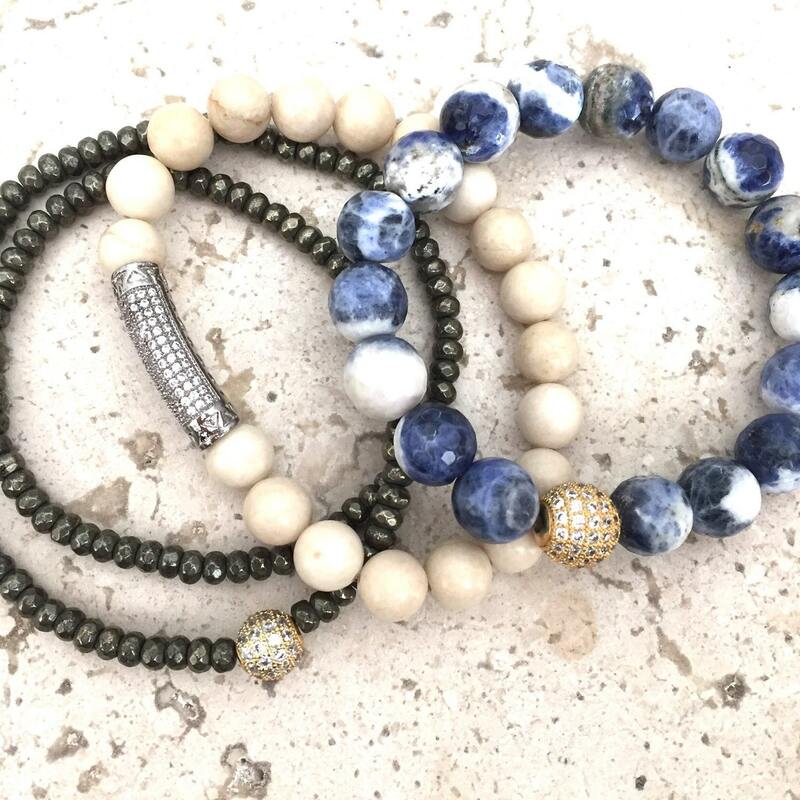 Gorgeous Neutral Stack that will go from day to night. 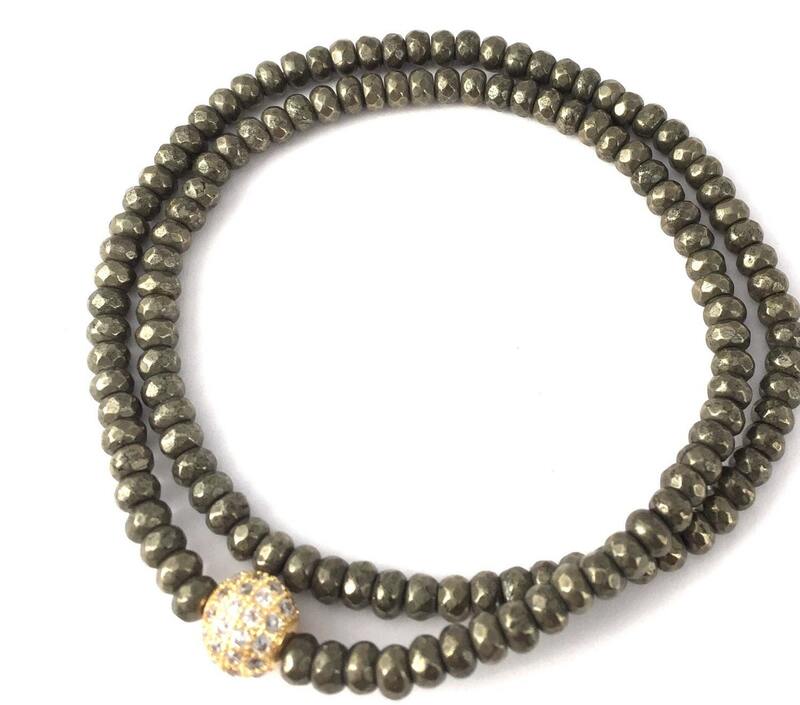 Pyrite is a stone that enhances intelligence, logic and intuition. Fossil give you a sense of beauty and charm. As well as creative motivation! 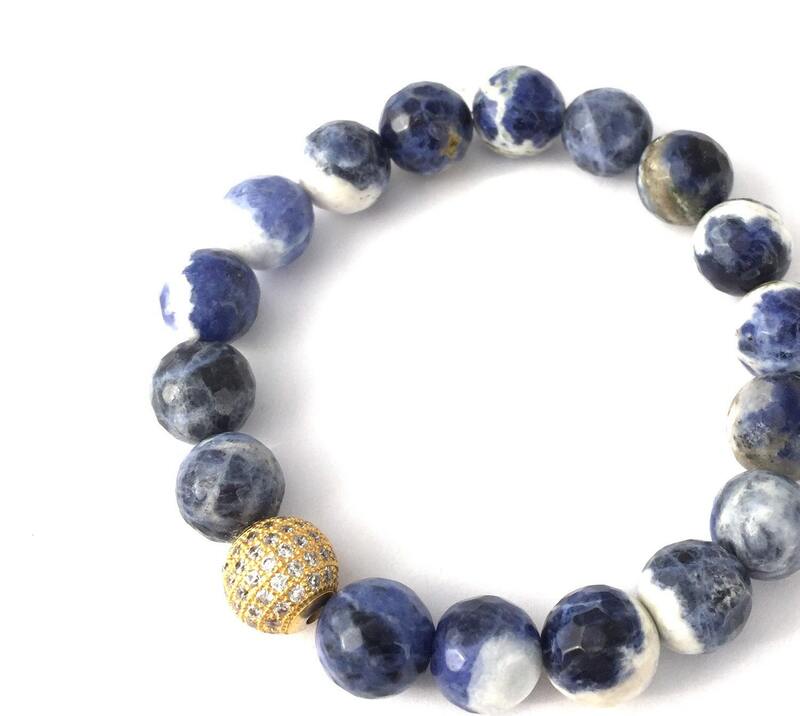 Sodalite aids in communication and rational thinking. All bracelets come with a card and healing descriptions. 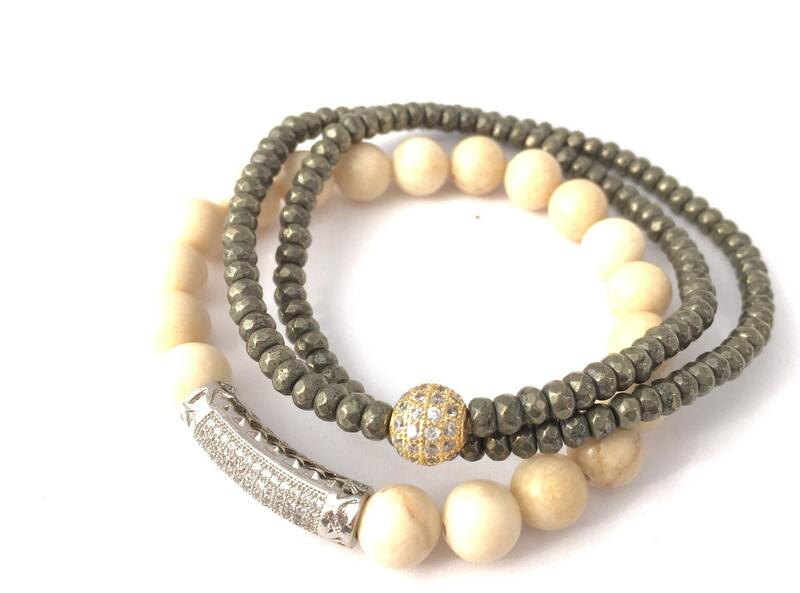 High Quality Natural stone bracelet on easy slip on elastic design. Fitting 95% of all sizes wrists. Designed at 7.0” Custom orders are always welcome. Happy to do custom orders.